The above information, as well as much more, is available in a great book, “Orca, the Whale Called Killer”, by Erich Hoyt. In fact, the author is a good friend of our boat’s captain, Captain Ronn Patterson (who also did whale research in his earlier years). 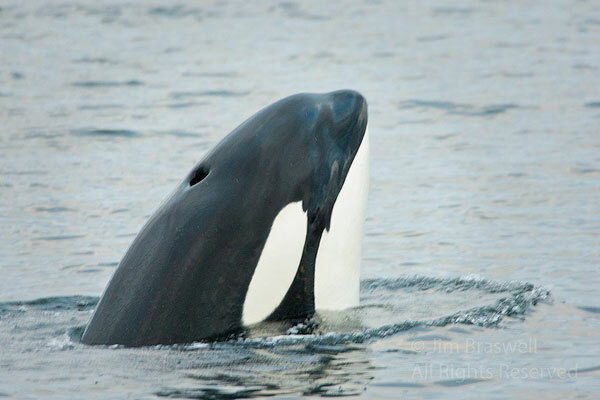 Well, let’s get to our experience with Orcas on Day 1 of our photo workshop. In the past 2 posts, I shared some images of our experiences with Humpback Whales (Part 1 and Part 2). After spending several hours with the humpbacks, and still heading northward, we began to move out of the massive numbers of whales. But we kept looking … for whatever our next encounter would be. It wouldn’t be long! Looking ahead of the boat, at an estimated distance of ~3 miles ahead of us, through binoculars we saw 2-3 Orcas that appeared to be breaching out of the water. We informed Captain Ronn so that we could maneuver in that direction and see if we could get some photos. Captain Ronn, looking through his binoculars, calmly said to us, “No, they’re not breaching. It looks like they’re hunting.” With that, he set the throttle of the boat to “high speed” (didn’t seem to be much faster than our slow speed), to try to get us there a bit earlier. 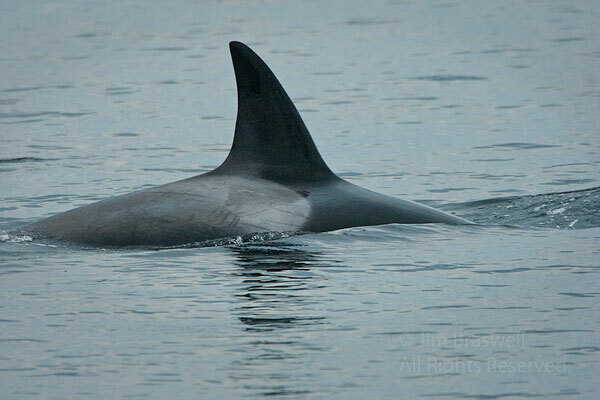 Even so, it took us a good 20 minutes to reach the area where the Orcas had been seen. 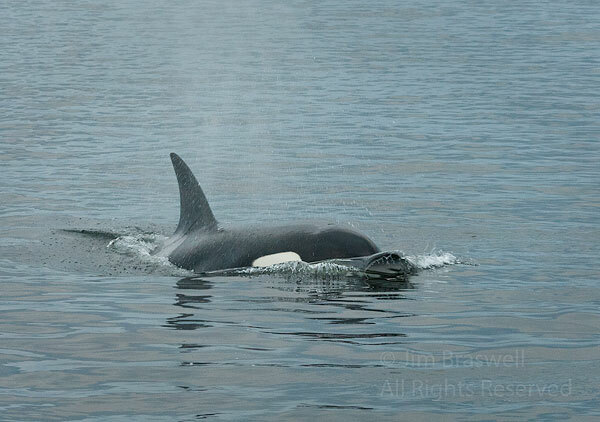 One by one, Orcas started appearing everywhere around us, including one young one in the pod. 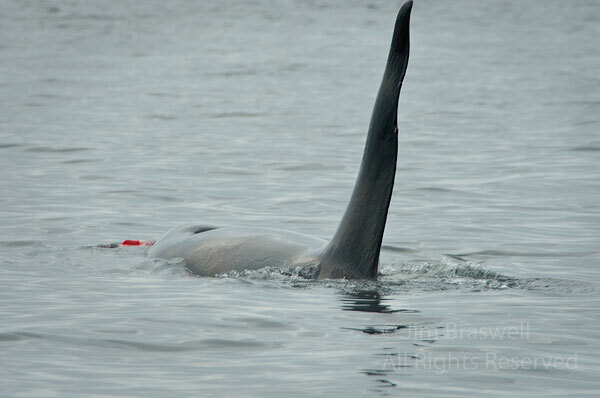 Our best guess was 4, maybe 5 in this transient pod. 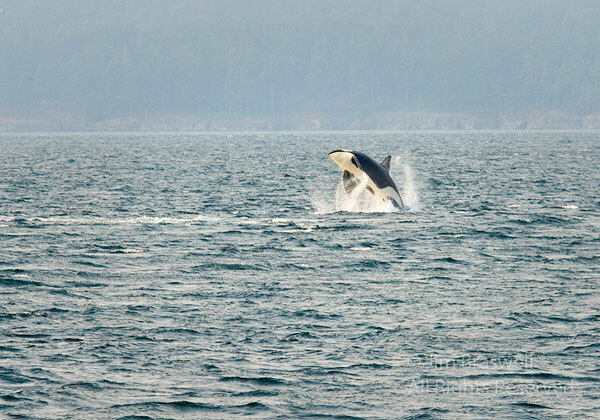 And then one of the larger Orcas “spyhopped” just a few feet from us! 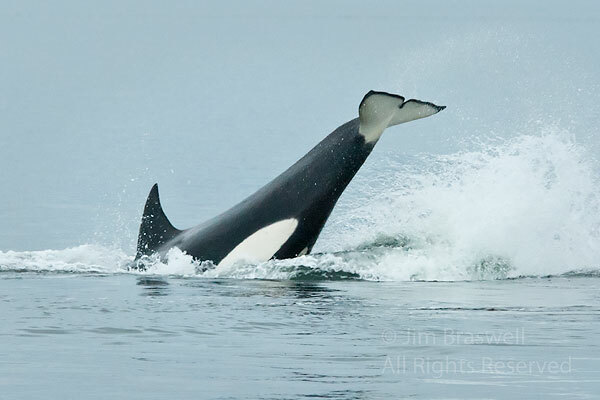 Spyhopping is the act of an Orca gently lifting it’s head out of the water. This is generally done so they can see what is going on above the water. I’m sure they were checking us out, just as we were doing with them! With such excitement, Day 1 ended with great expectations for the remainder of the trip … and we weren’t let down! Tomorrow, we’ll see what happened on Day 2! 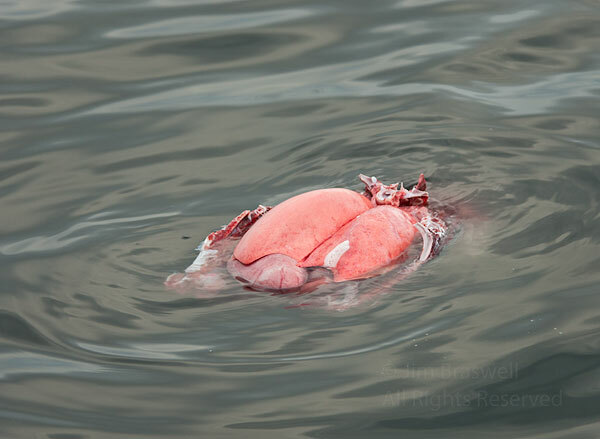 Tags: Alaska, behavior, Blog, dolphin, feeding, Inside Passage, mammals, nature, Orca, photography, travel, whale.